Officials in Egypt say that archaeologists working at a dig in Cairo have found a number of important artifacts, some as much as 4,000 years old. These include several fragments of stone slabs with artwork and inscriptions as well as masonry work—and even a stone foot. The Egyptian Antiquities Ministry is the government organization that protects and preserves Egypt’s history and heritage. 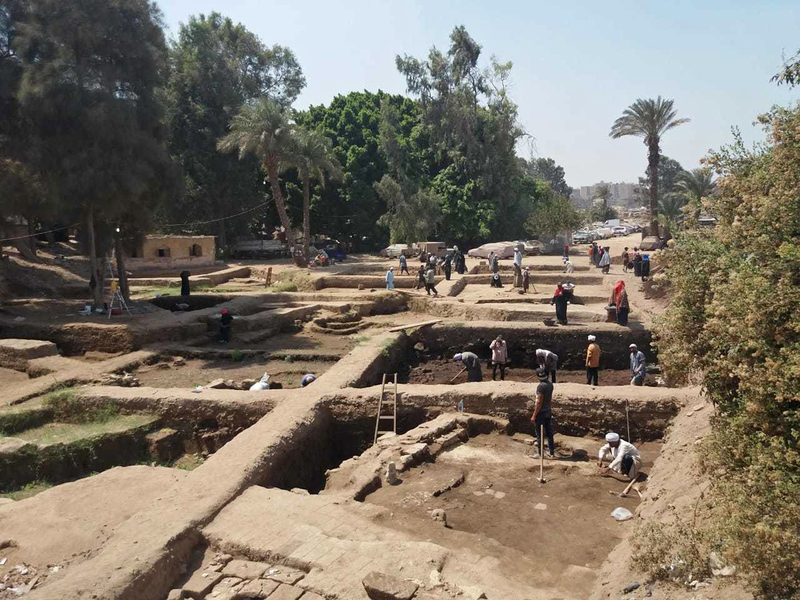 Officials from the ministry said this week that the artifacts are the latest finds in eastern Cairo’s Matariya neighborhood. Ayman Ashmawy is the Head of the Ancient Egyptian Antiquities Sector at the Ministry of Antiquities. He leads the Egyptian side of the dig. Archaeologists found fragments of small temple statuary and animal materials too. Some of the fragments may date back to the 12th and the 20th Dynasties and the Third Intermediate Period. Other items found are more recent. The excavation also led to the discovery of a mud brick enclosure wall as well as a limestone staircase and a false door that probably was connected with temple rituals. Analysts say Egypt frequently announces archaeological discoveries with hopes the news will spur interest in its ancient treasures and revive tourism, which has been hit hard by political turmoil.